We have been waiting for quite some time to see exactly what RIM’s first tablet, the BlackBerry PlayBook would be like, and the first reviews are staring to come in. The PlayBook features a 7 inch LCD display with a resolution of 1024 x 600, and it comes with the latest version of the BlackBerry OS, processing is provided by a dual core 1GHz processor and there is also 1GB of RAM. 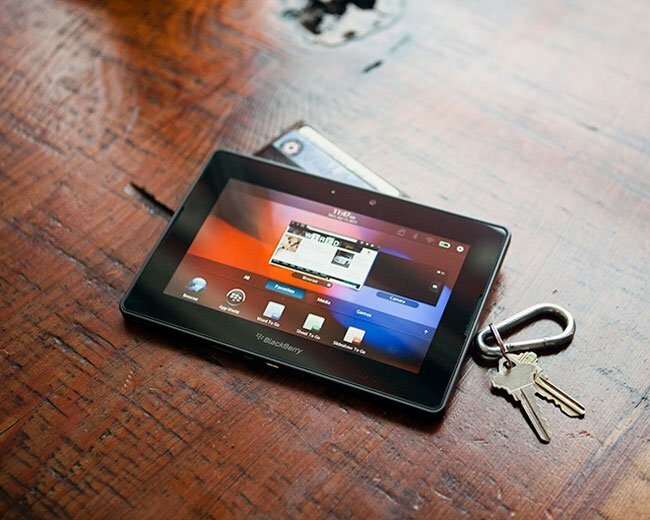 The BlackBerry PlayBook also features dual camera, with a 5 megapixel camera on the back that can record Full HD video in 1080p and a three megapixel camera on the front for video chat, other specifications include 802.11 a/b/g/n WiFi, Bluetooth 2.1 +EDR, HDMI, microUSB. Some of our fellow technology sites have managed to get their hands on the new BlackBerry PlayBook, and you can see some of the reviews below to see what they thought of RIM’s new tablet.